Canadian researchers developed a probiotic yogurt strain that improves weight gain in malnourished adults and children, reduces skin rashes, fights diarrhea, enhances immunity in HIV patients, and reduces adsorption of heavy metals and aflatoxins in women and children. However, the approach relied on small batches of bacteria grown in a laboratory, which limited business growth and the widespread availability and use of the probiotic. A breakthrough occurred when a Canadian-Dutch team created shelf-stable starter cultures. A one-gram sachet of freeze-dried bacteria can affordably produce 100 litres of yogurt locally within 24 hours. 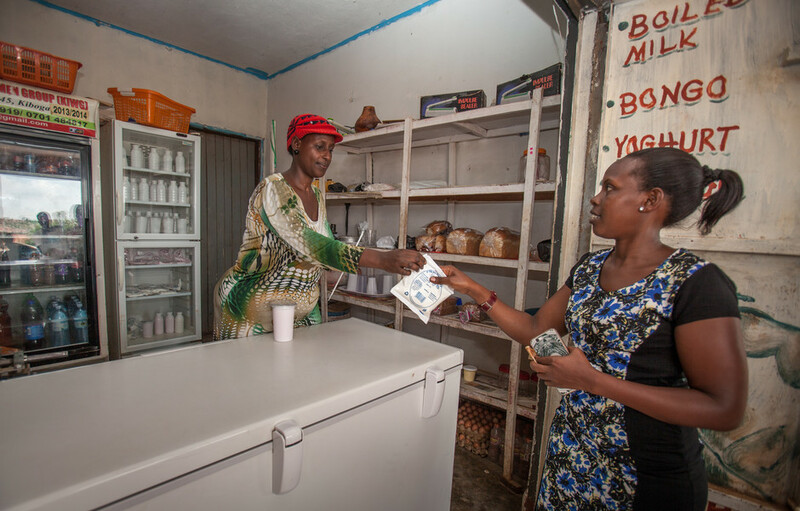 The rapid turnaround has opened up the production and consumption of yogurt in rural areas by overcoming challenges such as a lack of home refrigeration, weak distribution channels (poor roads, few refrigerated trucks, etc. ), and limited markets for farmers’ milk. An innovative business model called “fermented food for life” (FFFL) was created to encourage local production, distribution, and consumption of probiotic yogurt in rural areas of Kenya, Tanzania, Uganda, and beyond. This “pro-poor” value chain-based business model has improved food and nutritional security by increasing the local production of affordable and healthy probiotic fermented foods, notably yogurt and porridge. Yogurt has a longer shelf life than milk, which has reduced post-harvest losses, especially in communities with limited refrigeration or lack of an immediate market for fresh milk. The business model has also increased profits for farmers — in Uganda, the net profit of selling one litre of probiotic yogurt is at least three times the net profit of selling one litre of fresh milk. Individuals were trained in yogurt production, record keeping, marketing, and government certification procedures for food safety agencies. Two scale-up pathways were successfully tested and 262 production units were established in Kenya, Tanzania, and Uganda that collectively produce at least 45,000 litres of probiotic yogurt each week. A donor-led model in Tanzania and Uganda supports local production and sales of yogurt made with the freeze-dried bacteria sachets. A strong infrastructure of starter culture has been established. A cross-country network of agro-vet shops in Uganda purchase culture in bulk and retail it in their respective regions. 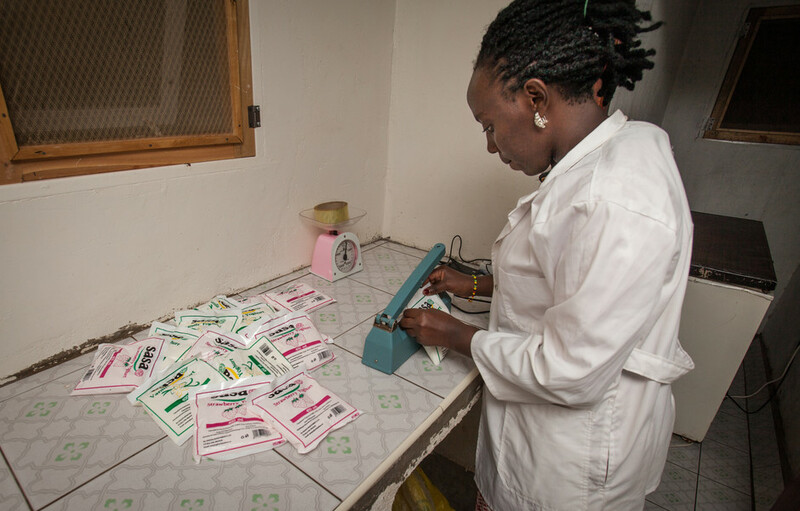 In Tanzania, project partner Heifer International has sachets available at several of its offices, as does a women-led philanthropic organization called Mikono Yetu. An even more promising model, led by Jomo Kenyatta University of Agriculture and Technology and public authorities in Kenya, supported 20 early childhood development centres in producing their own fermented porridge. The high-protein porridge, made from a blend of maize, millet, and soybean and fermented with the probiotic culture, is served to 1,200 children. Although women contribute almost 70% of labour in the dairy sector, prior to the project they had no significant control over resources or incomes. Now 74% of individually and group-owned production units are led by women, and they are reporting greater confidence, better access to financing, and greater mobility. Nearly 260,000 consumers of probiotic yogurt were reached in Kenya, Tanzania, and Uganda, in a scale up largely driven by government endorsement and media coverage. The partnership between Heifer International and SNV Netherlands contributed to a full-fledged program in southwest Uganda that sees parents paying for the yogurt at a subsidized rate. School management and the parents of children at 48 pre-primary institutions in Uganda were sensitized to the importance of probiotics, resulting in 2,206 children consuming probiotic yogurt on weekly basis. A study of 467 primary school children in Uganda found that consuming 100 ml of probiotic yogurt daily can reduce skin rashes, diarrhea, and school absenteeism. Uganda’s Dairy Development Authority has made a commitment to include training in probiotic yogurt processing in the dairy school. The Uganda Industrial Research Institute and Tanzanian Food and Drug Authority are supporting certification and nurturing processors to move to scale. Prominent figures in Uganda’s ministries of Health and Education promoted the consumption of probiotic yogurt in primary schools. 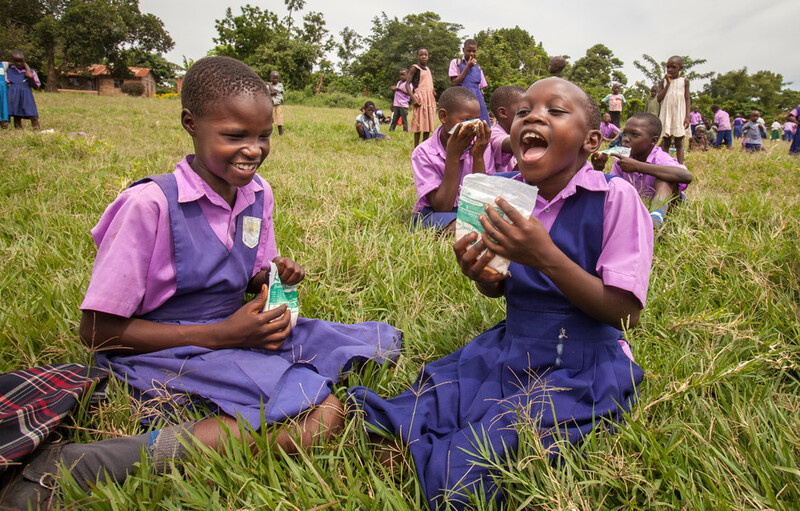 For example, seven districts in southwestern Uganda officially endorsed probiotic yogurt and encouraged schools to adopt the program. A symposium in Kampala shared the FFFL concept and its successes with policymakers, regulators, other philanthropic organizations, and potential donors. Several initiatives are underway to scale up the FFFL model. Partnerships have been established with the dairy regulatory bodies in Uganda and Tanzania. 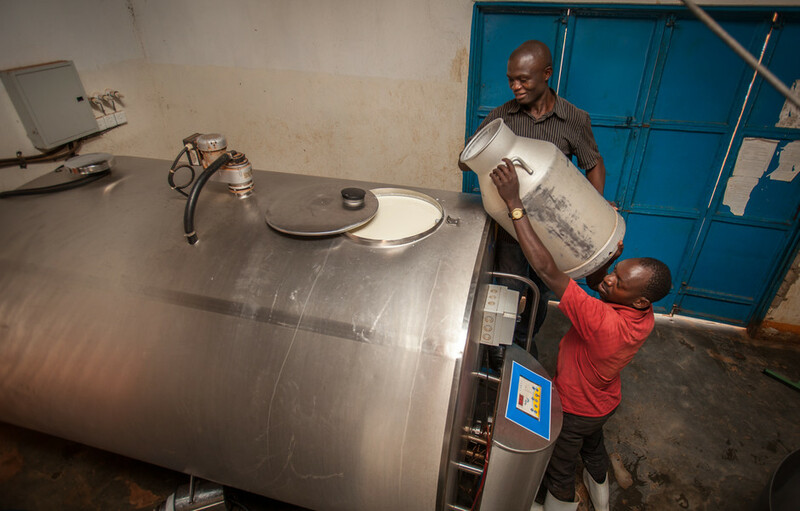 Discussions related to licensing and training are underway with Uganda’s Dairy Development Authority to restructure the licensing process for start-up production units to make it easier for entrepreneurs. Jomo Kenyatta University of Agriculture and Technology has signed agreements for development cooperation with five counties in Kenya. These agreements will support the promotion, production, and consumption of probiotic fermented porridge in pre-primary schools. There is potential to reach approximately 50,000 early childhood development centres in Kenya that serve 3 million children. The university is also working to identify a suitable company to import and distribute starter cultures and will continue to train interested entrepreneurs as part of its extension program.